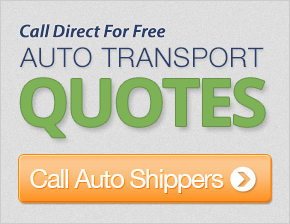 Thanks to Bluestar Auto Movers and their dedication to perfecting the car shipping industry, they have thousands of transports booked annually. On average, Bluestar ships 10,000 vehicles each year, ranging from short, interstate transport to international car shipping. As the company has only been in business since 2005, these transport numbers are fairly high, meaning, at the very least, the company is doing something right. As a professional vehicle transporter, Blue Star Auto Movers transports cars, motorcycles, trucks, and military vehicles across the US and, even, internationally. Customers who are car collectors or in auto shows will find that Bluestar has more than adequate experience handling these rare, often-times expensive vehicles. Besides arranging for international transport with a freight ship, the company is also able to keep you up-to-date on all the necessary paperwork required. Thanks to the sometimes exhaustive amount of paperwork filed in this process, hiring Blue Star Auto Movers is definitely a good idea for international moves. As is common these days, Bluestar Auto Movers is now focusing some of its effort on shipping vehicles purchased online. eBay, for instance, is one online car buying site that the company gets customers from. Their competitive auto transport prices and responsibility for "transferring your vehicles at the right time, in the right mode, and to the right place" makes Bluestar Auto Movers one of the industry’s best transporters. Thanks to your wonderful service, we have been able to experience the first stage of the trip of a lifetime. Our confidence in your transporter was solidified with their contact and final pick-up arrangements in Ft. Lauderdale, FL. Your reassurance that the vehicle would be in San Diego on time when our ship landed, and then seeing it here arriving two days prior was great. Thanks again, we are on our way for 5 months of traveling this great land. This is the second time we have used your company to transport cars. We have been pleased with each delivery. This was my first time shipping a vehicle, and it turned out to be a seamless experience with no snags whatsoever. Thanks for all of your efforts everyone! Customer support was very responsive, and the driver did an excellent job of transporting our vehicles in a timely manner. My rep did an excelent job assisting me with this car move. He resonded quickly to any questions I had, and was very helpful. Our car was picked up the same day we placed our order, so the timing was perfect. When I need to move another vehicle, I will most certainly use you. They are a very professional service with excellent communication. I will use your services again if needed. I appreciated how efficient and professional our rep was, as was my entire experience. I was thrilled with the amazing customer service of our driver. It was an easy and positive way to transport a vehicle, and I will highly recommend you. Thanks so much. Service was a little pricey, but you do get good value for the price you pay. When my truck was finally picked up, timeliness was very good, and I was very pleased with the service. Thank you! I experienced good service and business-like support. They were professional on all calls. They are good folks to do business with, and I will use you again. Thank you. Great service and great information were provided. Thanks! I was very happy about the rapid pick-up and delivery of the vehicle. They did everything within their estimated schedule. I am very happy. Customer service was very helpful with this transaction. I received instant responses to my questions. Our rep was very helpful. Getting our car shipped back to Florida was a very easy experience. Thanks! Our driver was the greatest! Thanks - driver was great to work with.